Though the Amalfi Coast is often considered the most spectacular combination of water, mountain, and fishing village scenery Italy has to offer, the placid glacial depths of Lake Como--ringed by lush, tumbling slopes and the distant peaks of the snow-capped Alps—gives the Costiera Amalfitana a run for its money. Old-world elegance (Como is home to a number of historic villas), modern luxury (this is where George Clooney famously owns a holiday retreat), and traditional charm (despite the villas and A-listers, Como remains a land of tiny towns and humble polenta) combine to attract visitors who revel in the romance and beauty of this breathtaking lake. Tweetable: The old-world elegance and breathtaking scenery of Lake Como gives the Amalfi Coast a run for its money. Once you check in to the stunning Art Nouveau Grand Hotel Tremezzo--one of our favorite hotels in all of Italy and by far our preferred home-away-from-home on Lake Como--you will be hard pressed to leave. And we understand your dilemma. We do. Between the formal elegance of the original suites and the chic contemporary rooftop level, with its private hot tubs overlooking the water, you will be tempted to spend your entire time on Como at this sumptuous spot. So take your time enjoying one of the lake’s most beautiful historic hotels: sip a cappuccino in the garden, take a dip in one of the three pools, splurge on a massage with a view at the hotel’s spa. But then move on. Not too far, however. 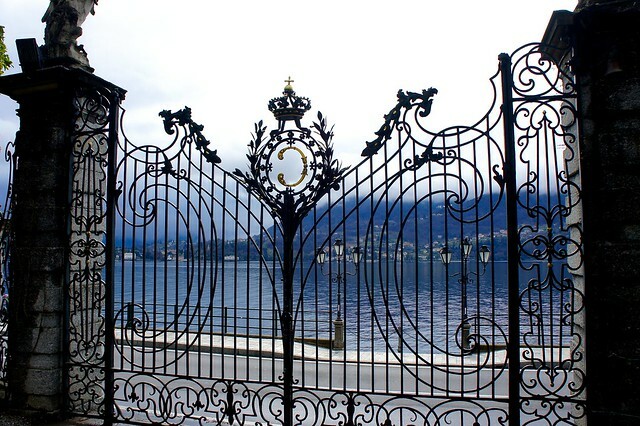 Just a five minute walk down the road sits Villa Carlotta, the most famous villa on Lake Como. The vast botanical gardens are considered among Europe’s finest and the villa’s stately rooms are crowded with artwork and furnishings amassed between its construction in the late 1600s and its final incarnation as a wedding gift to Prussian princess Carlotta in the mid-1800s. Now a museum, the villa and gardens are open to visitors daily until early evening. You’ve seen Lake Como’s grandeur, so now it’s time to sample a bit of village life. Tiny Menaggio, about ten minutes from the Tremezzo, is a delightful town with cobblestoned streets and a central piazza fitted with bustling cafés perfectly situated for admiring the lake and the passers-by. As you wander the old town, keep a look-out for Pane e Cioccolato (the best gelato around) or choose your favorite vantage point in the piazza for an aperitivo. The Plesio mountains rise majestically behind Menaggio, and ambitious walkers can hike the trail two hours uphill to the Rifugio Menaggio, which, at 1383 meters above sea level, offers spectacular views over the lake. For an equally exquisite view accompanied by an excellent meal, we suggest simply driving to Locanda La Volpe, perched high in these same mountains overlooking the lake. Here the rustic chalet feel and friendly hospitality of the Piazzoli family perfectly set off their impeccable traditional dishes, including local lake fish like persico (perch) served over risotto, grilled meat with polenta, and bresaola (cured beef) from nearby Valtellina. 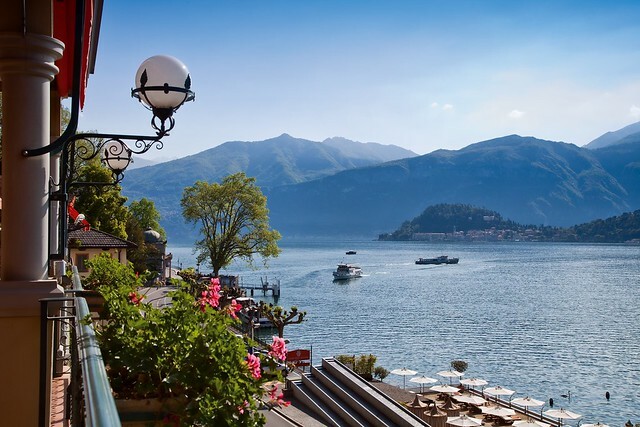 Tweetable: Lake Como is a glorious mix of grand villas and picturesque villages lining its shores. 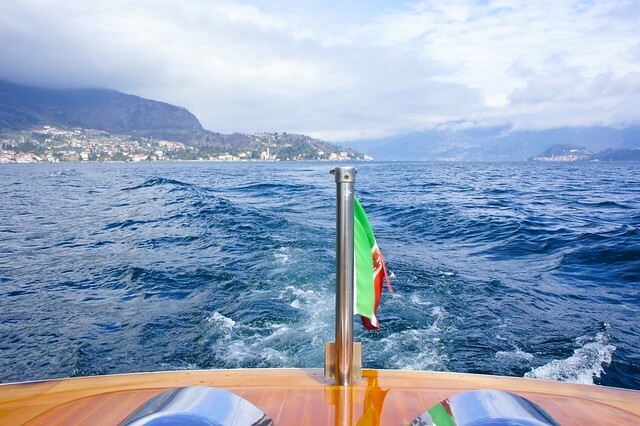 After lingering over breakfast (yes, we know...you don’t want to leave the Tremezzo), you will spend your day on a private boat exploring Lake Como from the water. Your first stop is Bellagio, a town so renowned for its beauty that even Las Vegas took note. Perched on the promontory which splits the lake’s southern end into western and eastern arms, the picturesque waterfront crowded with colorful boats, maze of steep streets lined with colorfully stuccoed houses, and lush gardens bursting with azaleas and rhododendrons have charmed visitors for centuries. Above the town center, Punta Spartivento scenic overlook offers a fabulous view towards the Alps. From here, move on to neoclassical Villa Melzi (built in 1808 for one of Napoleon’s associates and boasting the first English-style garden on Lake Como) and the dramatic 18th century Villa Balbianello (immediately recognizable to all film buffs as the setting of the 2006 James Bond remake of Casino Royale and the site of Natalie Portman’s wedding in Star Wars, Episode II), two of the most elegant villas along the lake’s shore. All this charm and beauty has surely worked up an appetite, so your boat will drop you on the island of Comacina for the unforgettable lunch at Locanda dell’Isola. Once a desolate island, overgrown with vegetation and inhabited only by snakes, Comacina was long believed to be cursed. In 1948, a silk manufacturer teamed up with a speedboat racing champion and asked a local to help them build an inn on the island. The silk manufacturer died shortly thereafter in a boating accident and the racing champion was murdered at Villa d’Este by Countess Bellentani. The third, local partner knew a curse when he saw one, and was ready to abandon the project when Francis Dale, an English writer, suggested he perform an “exorcism of fire” on the island. Apparently it did the trick, since, from this forsaken and accursed island, a new respite of great food and warm hospitality was born. Just to be safe, however, still today whenever their five course meal is served on the island, the fire ceremony is performed. What does “special” mean to you? Well, it depends. Are you celebrating a romantic anniversary or honeymoon? Then plan to treat your special someone (or yourself!) to Mistràl, the upscale restaurant in Bellagio’s five star deluxe Grand Hotel Villa Serbelloni. The stunning view, Michelin Star chef, live music, and impeccable white jacket service guarantee a special evening. If, instead, by “special” you mean a casual dinner in a local spot featuring a traditional specialty, then you will love Polentoteca in alpine Chalet Gabriele above Bellagio. Locals consider it the best polenta uncia (polenta with melted cheese and butter) around, and, for larger groups, they offer Bellagio’s specialty: polenta tocc (served from a large copper communal pot and eaten with traditional wooden spoons). 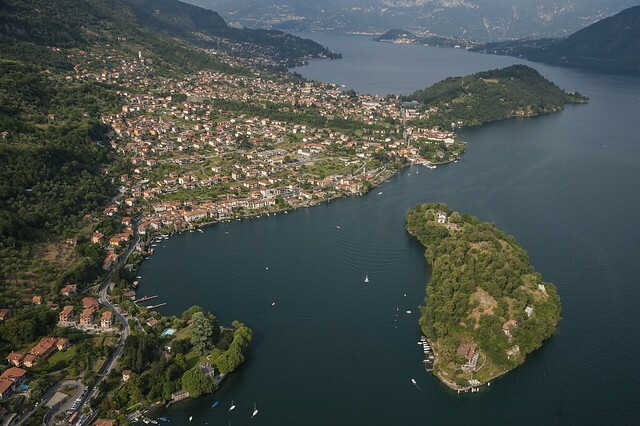 Tweetable: Did you know that there’s a cursed island in the middle of Lake Como? Beware! Como is by far the largest city on the lake, and a contrast to the tiny towns which otherwise line the lake shore. With Roman origins, the picturesque historic città murata is surrounded on three sides by Medieval walls encircling a pedestrian area of narrow lanes lined with shops, cafés, and restaurants. Stop in at Como’s three magnificent churches: the stately Duomo, with its mix of Gothic, Romanesque, Renaissance and Baroque architecture crowned by a dramatic octagonal dome; the 6th century Basilica di San Fedele, with its three naves and three apses forming a clover leaf; and, just outside the city walls, the Basilica di Sant’Abbondio. Built in the 11th century, this soaring Romanesque structure is decorated with a beautiful fresco series inside the apse. It’s time to take a break, so stop by the charmingly retro-fitted flower shop Pane e Tulipani (Via Lambertenghi, 3) for a cappuccino and pastry or, if you are really in the mood for a treat, Gelateria Ceccato (Lungo Lario Trieste, 16) for a few scoops of the best gelato in Como. Having seen the sacred, you can now admire Como’s more temporal wealth by meandering along the lakeside Passeggiata Lino Gelpi, as it skirts the water on one side and a number of the city’s most luxurious historic villas and gardens on the other. 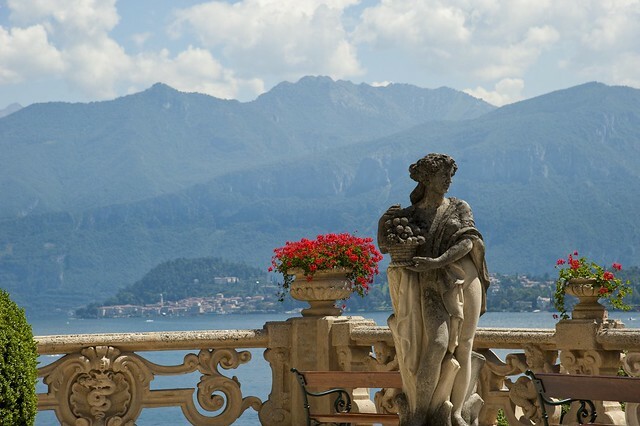 The neo-classical façade of Villa Olmo is one of Como’s landmarks; though the palatial villa itself can only be visited for special events, the spectacular surrounding Italian and English-style gardens are always open to the public. The route also passes Villa Saporiti, from the late 18th century, and the 17th century Villa Gallia, both now governmental buildings. From Como, take the historic Funicolare (cable car) seven minutes uphill to the quiet village of Brunate, perched high above the lake. 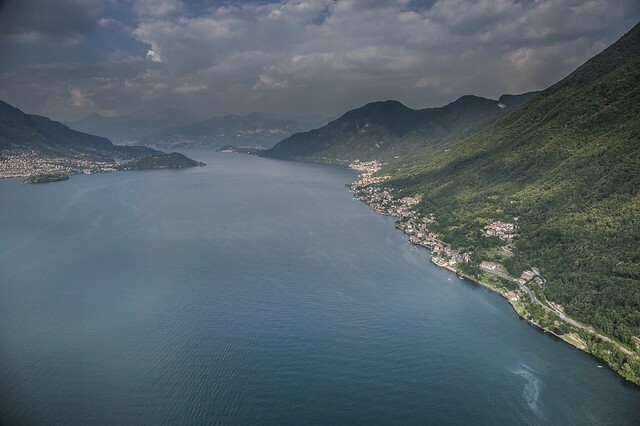 From the cable car stop, climb the final 143 steps to the top of the lighthouse, built in 1927, and drink in the view of spectacular Lake Como from one of the best vantage points around.